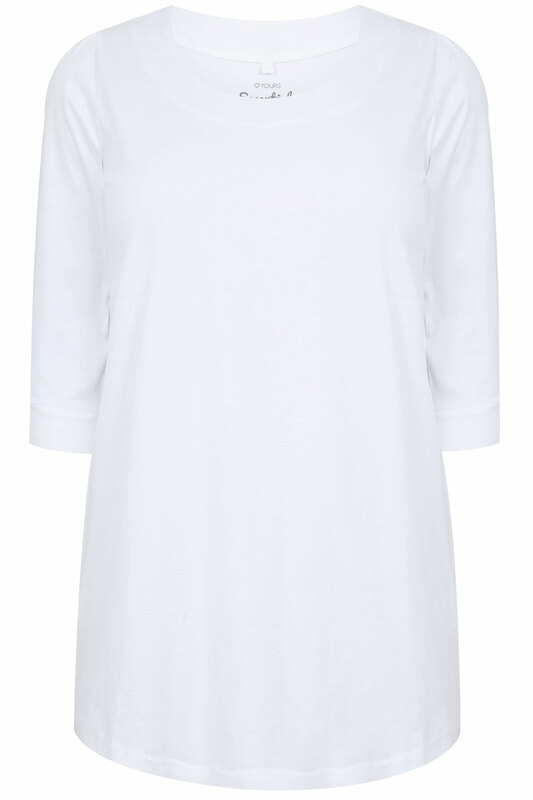 Plus size white plain basic t-shirt with 3/4 sleeves and a band panel scooped neckline. 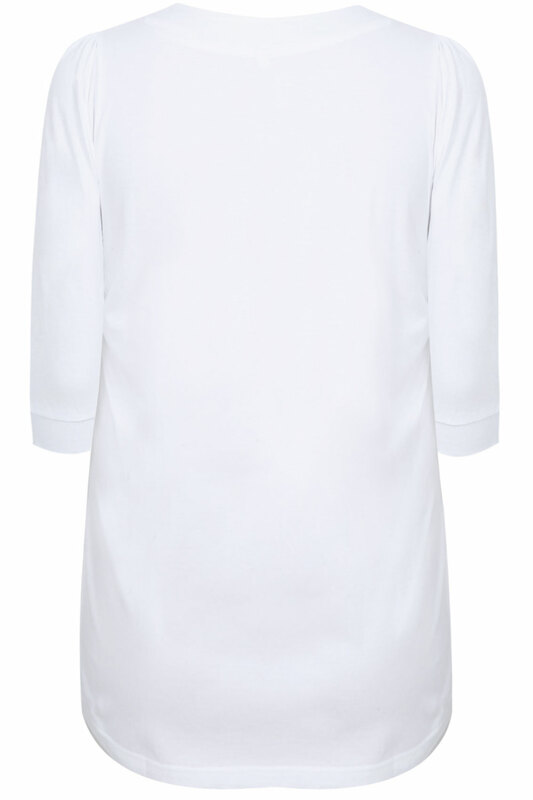 Made from a soft jersey with 100% cotton for extra comfort. A must have for every woman's wardrobe!